The days of Pong and Pac-man are over. Videogames are no longer identified with this strange yellow dot eating other dots or a two-dimensional simulation of table tennis, they seem to have lost all their innocence and have entered the realm of the ‘grown-ups’. No longer only played by the average nerd but a media form that also has found his way to housewives and working men and grown to an industry that outpaces the movie- and music industry by far, videogames are nowadays under a lot more scrutiny. But stating that games never have been scrutinized until recently would be wrong. Videogames always have been the target of critiques of being too violent, stimulating aggressive behavior, causing hyperactivity and having other bad influences on the human brain. But it seems like there has emerged other kind of critique beyond ‘games are too violent’. 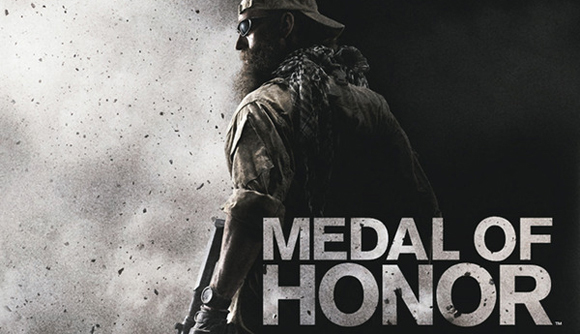 With the quest of the videogame-industry to more and more reality and immersion other questions are being asked about the games or seen as more important, the same sort that came up with the release of the highly anticipated first person shooter Medal of Honor where the player can assume the role of Taliban fighters and kill American troops. The controversy of this game is ofcourse because it adresses an ongoing conflict, a war where thousands of men and women died and people now can choose the side of the enemy killing ‘our people’. But ‘what is surprising is that playing a videogame where players can assume the role of terrorists is something that the U.S. Army not only understands, but actively develops and plays on a regular basis.’ The US army use videogames and contribute to wargames as a way to recruite new soldiers but also ‘tools to help soldiers and commanders understand how to not only train smarter, but also to understand how their enemy thinks. Part of that mission is occasionally playing the role of insurgent in these games.’ With the game developers pushing the boundaries of reality in games further and further games become some sort of trainingground for the army. It’s a fact that people love reality or at least ‘perceived’ reality and explains why real-life shows are so popular on TV so its no surprise that developers seek the same, but this also has some implications for the way games are received. It’s over with the videogames that tell a story and we now have games that offer total immersion and control and with the real graphics it seems harder to see a difference between game and reality. It almost seems like games have become realities themselves. This combined with a controversial topic like war in Medal of Honor makes games highly debated. Should we offer the people such a reality? Or should we let people making choices like fighting for the Taliban?And is this choice not too controversial? Such questions are legitimate because we are no longer dealing with a game in the true sense of it or even a an experience, it’s a almost a copy of life. So do gamers have to deal with too much reality? Is letting people making choices like in Medal of Honor legitimate? The answer would be Yes if you consider such games a way to better understand our world, and in the case of MoH to better understand our ‘enemy’. Games can become more than mere entertainment but a way to explain conflicts like the war in Afghanistan or other random subjects. So in that way the reality of games are a good thing.